Help us collect change to change lives. We want to inspire young donors (ages 0-17) in your family to a life of giving. 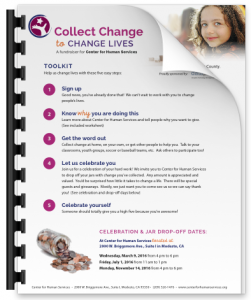 Let them help us change lives by collecting change. We’ll provide you with everything you need, except the change. That’s for your young giver to do. To express our gratitude we’ll invite you to a family-friendly donor celebration and shower your young giver with gifts and prizes.